Bülent Korucu, former columnist for Zaman and former editor-in-chief of Aksiyon. As I’ve been writing for months now, the job that runs the highest risk in Turkey is, without a shred of doubt, journalism. So you can imagine my sense of bitterness when I woke yesterday to the unanswered cries of despair from a teenage boy trying to save his mother from unlawful imprisonment. Hacer Korucu, who is the mother of five children, was taken into police custody on 31 July when the Korucu family flat was raided. 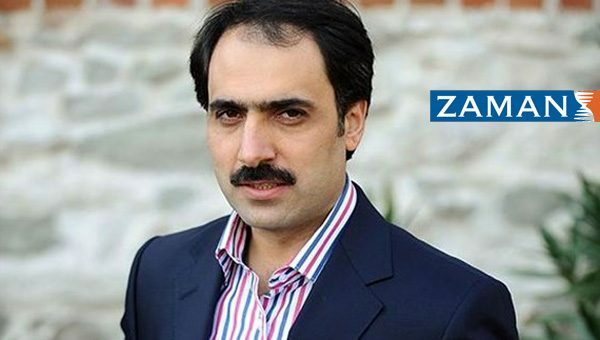 The search was part of the crackdown on 42 journalists, many of whom were affiliated with Zaman daily. Bülent was on the list. His current whereabouts are unknown. Tarık’s despair, which was heartwrenching, reached a new low yesterday. He sent out “help us, speak out for us!” messages to a number of parliamentary deputies and journalists like Can Dündar. Only one deputy, Mahmut Tanal from the main opposition, CHP, reacted. Large chunks of the Turkish media are too busy these days attacking their colleagues and outlets in the West. Many Turkish columnists are joining the government chorus which demonises those in the media who are supposed to be Gülen affiliated, while ignoring the Korucu family’s plight in a mood of revenge. Only brave, independent news sites like Diken, T24 and the Platform for Independent Journalism that reported the case. The rest maintain a deadly, acrimonious silence. I am left speechless. And we still don’t know the grounds on which Hacer is kept in custody. As of Friday, 42 journalists have been detained since the coup attempt. This brings the total number of jailed journalists in Turkey up 77, possibly the highest number of any country in the world. In addition, we learned yesterday of two Kurdish reporters arrested in Yüksekova, in Hakkari province. Korucu family’s tragedy is only a small part of an immense drama, leaving me in no doubt that journalism is the riskiest profession in Turkey. A key aspect in this updated data has escaped the attention of my Western colleagues. An endless stream of seizures and the demonisation of the media mean that hundreds of journalists who do not end up in jail find themselves out in the streets, marked as “toxic” simply because they are abiding by the principle of remaining critical of power structures. Many will never again find a job in parts of the “central” media, which has been invaded by the culture of self-censorship. Many of us journalists have lost outlets we’ve worked and are left without income. Many are doomed to either starvation or obedience to the powers that be. We have no chance of being employed in decent conditions unless a miracle happens or we receive mercy from our freedom-hating rulers. This is the real tragedy that has swooped over journalism in Turkey. A version of this article originally appeared on Suddeutsche Zeitung. It is posted here with the permission of the author. Turkey’s rising censorship: How did we get here? As the purge deepens in Turkey, is a self-coup underway?